A Day Late and A Dollar Short: CROSS COUNTRY CAFE - Weekend Sale! Kahlua Keurig K-Cup Coffee! CROSS COUNTRY CAFE - Weekend Sale! Kahlua Keurig K-Cup Coffee! 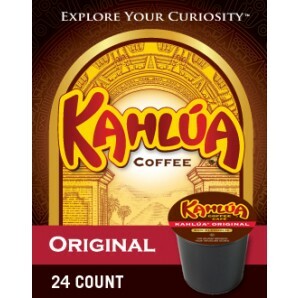 Kahlua Keurig K-Cup coffee is on sale this weekend for $11.99 per box of 24! This price blows away Amazon's current pricing of $17.98!!! In addition, you will receive a $1.00 coupon good towards your next purchase! A great price, a $1.00 off coupon, and **FREE** shipping on orders over $59.00!